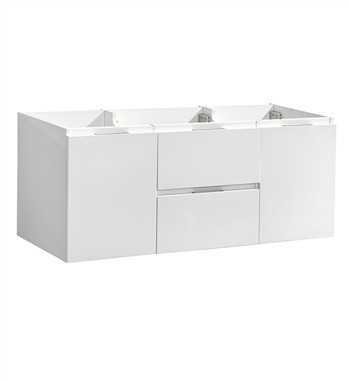 The Fresca Valencia Wall Hung Modern Double Sink Bathroom Vanity with Medicine Cabinet comes with everything you need to create an elegant and modern bathroom. 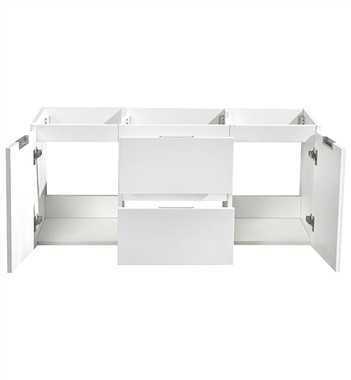 The rectangular vanity offers great storage with two soft-closing drawers and two soft-closing doors, just perfect for organizing all of your daily essentials. 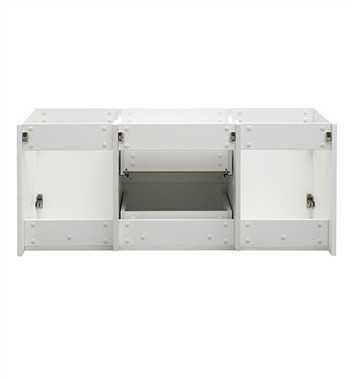 The drawers feature concealed aluminum handles and the cabinet has a stylish Glossy White finish. The white acrylic-resin countertop with integrated double sinks has smooth lines and a thick profile. The sinks are equipped with an overflow, single hole faucet mounts and include solid brass faucets. This ensemble also comes with a fully mirrored 40” medicine cabinet with two adjustable glass shelves, to complete the look. This lovely vanity is available in multiple sizes and makes a stylish statement in any home.